Actress Jun Ji-hyun -- also known by her English name, Gianna Jun -- is a muse to many women with her near-perfect fashion sense in TV dramas. 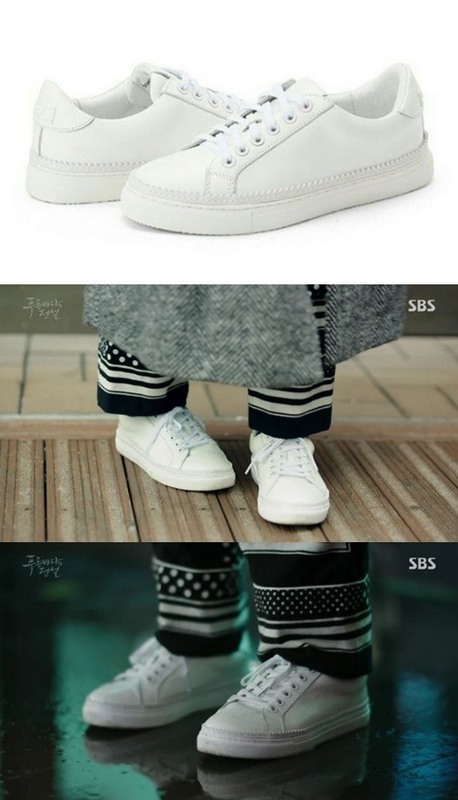 This article travels back to Jun’s two most recent works, “My Love From the Star” and “Legend of the Blue Sea,” to take a look at the shoes she has worn. In “My Love From the Star,” Jun plays a celebrity pop singer. She splurges on clothes, generously stocking her dressing room with fancy brand names. One of the items featured on the show was a pair of Jimmy Choo glitter heels. The shoes come in colors like navy and silver coarse glitter, ombre glitter and more. They cost around 900,000 won ($790). In a scene where she goes ice fishing with the male lead, played by Kim Soo-hyun, Jun wears a pair of over-the-knee Ugg boots matched with a khaki jacket. Priced around 500,000 won. Making an appearance at the university where the male lead works as a lecturer, Jun comes out of a car wearing a pair of thigh-high calfskin rider boots. Priced around 1.3 million won. In contrast, Jun starts out looking drab in “Legend of the Blue Sea,” where she plays a mermaid who has come ashore to search for her beloved childhood friend. Alien to human currency and transactions, Jun dresses in whatever clothing she can find. But if you look closely, the actress still has her look down. Take another look at the nondescript white sneakers she wears under a medley of oversized clothes, and you’ll see that it is actually a pair of Suecomma Bonnie’s Million Sneakers priced at around 220,000 won. After a certain time spent agonizing, Jun realizes that her mermaid tears are pearl gemstones that can be sold at a tall price. It’s not long before Jun starts dressing in higher fashion. These are her Miu Miu fur slippers, priced around 760,000 won. We saved the best for last. One of the most memorable pieces of footwear featured on this TV series was the scene stealer from the first episode: green Manolo Blahnik flats. Lee Min-ho, the male lead and a hypnotist fraudster who cons the superrich, finds Jun, a stranger, in his Catalonian hotel room. He reports her to the local police but belatedly realizes that the jade bracelet Jun was wearing was worth a fortune. Lee returns to collect her from the prison, then sees the cuts and bruises on her bare feet. Feeling sorry for her, he takes her to a department store and gifts her with the bejeweled Manolo shoes. Priced around 1 million won.